Come out tomorrow night to this incredible songwriting panel tomorrow night presented by Women in Music and SESAC! Women Influencers: Composers that GROOVE! Join us as we present an amazing panel of top female urban songwriters and composers, the second of Women In Music’s songwriting series. The series will feature established and emerging women influencers exploring their craft in various genres within the urban format. 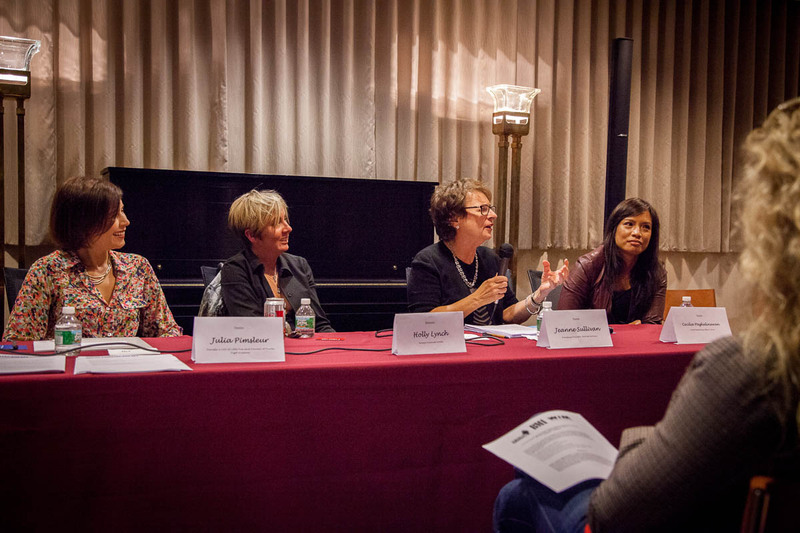 This second installment presents “Women Who Groove” to share insider tips on the writing process, “gender politics” in the studio, how to effectively market yourself as a female writer, nurturing quality production to sell your songs, and more. Learn from these influencers and discover how to groove your own unique voice. **You must check-in at the security desk in the lobby of the building. There was a packed room at BMI and the four panelists presented both inspirational and practical advice for entrepreneurs, attorneys, and investors. 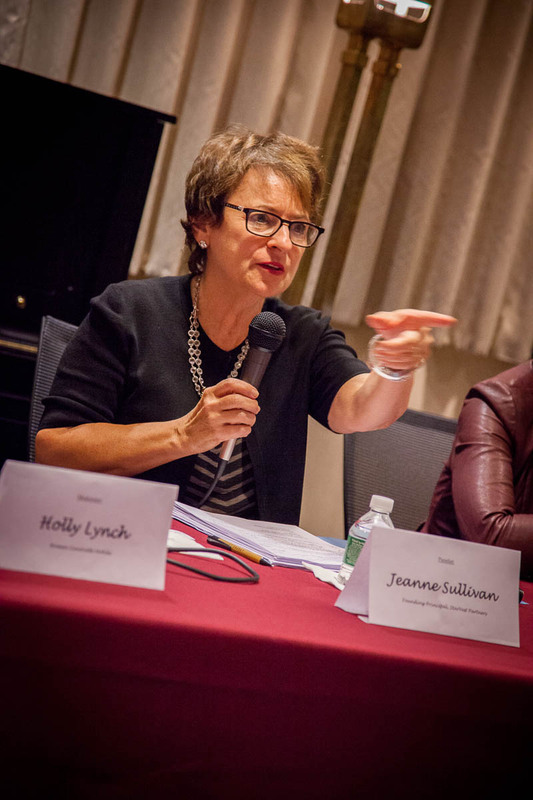 Holly Lynch, from The 85 Percent, moderated and speaking on the panel were Jeanne Sullivan, founding principal of StarVest Partners, serial entrepreneur and CMO of Stagedom Cecilia Pagkalinawan, and Julia Pimsleur, founder & CEO of Little Pim and founder of Double Digit Academy. Julia Pimsleur outlined four P’s that are required to run a successful business: (1) Passion. (2) Product. (3) People. (4) Petrol. The petrol is the gas to help the business go further faster; the petrol in running a business is capital. 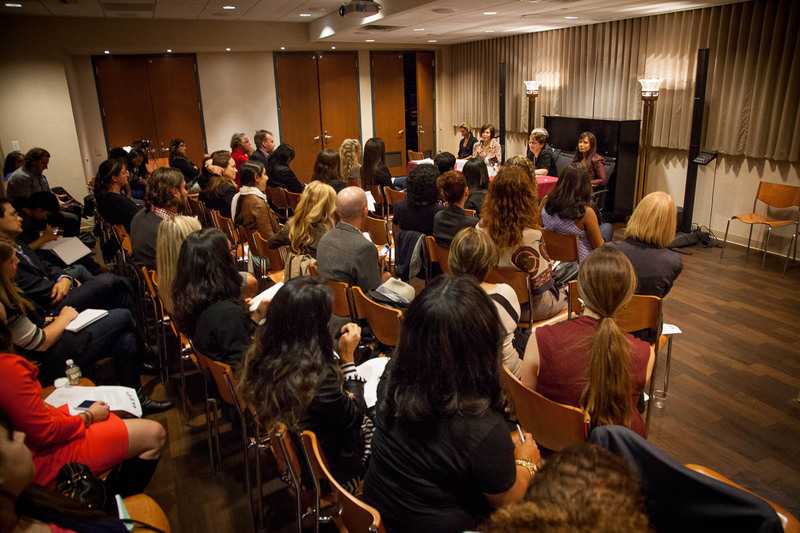 So how can women (or anyone for that matter) succeed in raising capital for start-ups? The panel revealed some very practical tips. Below are my top 4 take-aways from the night. 1. Be Passionate & Dream Big. Especially when pitching to angels, you want to get them excited about your company and vision and show them why you want them at the table with you. Dreaming big is not just about passion but also about the money. Dream big financial dreams for your company. Know your worth and show the growth potential for your company. 2. Don’t Be Afraid to Bootstrap. Bootstrapping is starting your company and running it on your own, without bringing in external resources. The longer you can bootstrap and not take in outside financing the more value you will give to your company early on. By showing how far you can get without funding, potential investors will see the value in your company concept and your team. The panelists consistently stressed the importance of a great team. It is crucial to bring in team members that also share the passion for the product and can bring unique and vital skill sets to the table. 3. Know Who You’re Pitching to & Be Prepared. Tailor your approach based on to whom you’re pitching. Angel investors and venture capitalists will expect and want to receive different types of information. I’ll first quickly sum up a few of the differences between angel investors and venture capitalists. It’s easier to raise money from angel investors. It takes less time, you can be less far along in your company development, fewer materials are required for the pitch, and there’s more flexibility in who you can approach because it is not generally industry-specific like venture capitalists. On the other hand, venture capitalists generally take a portfolio approach and invest in specific industries. Are you representing a big enough marketplace? In other words, make sure you can describe and position your company to have a broad enough reach. How much capital will it take to drive this forward? Never say that this is your last round of financing; instead, show that you will scale your business. What is the product or service? Be prepared with a one minute pitch to get their attention. Don’t start off with demos or videos, just explain the business in a compelling way that will make the listener want to hear more. Julia gave practical information about what materials you’ll need for the different pitches. With angels, start with an informal email but be prepared with a short (5-10 page) business plan and financial projections. For VCs, prepare a power point slideshow to sell your company in 10-12 slides. There is a very specific format so do plenty of research and make sure to present it the right way. Learn how to discuss the numbers. If you’re not a numbers person, bring a CFO (even if its a temporary position) into the presentation with you who can field those questions. Don’t act like you know everything. If you’re unsure of an answer, say that you’ll look into it and get back to them about it. Your Personal Network. Start with who you know. Reach out to friends and family that might be interested in investing. Similar Companies. Talk with the CEO’s of companies already funded that are in a similar area of your industry and get advice on who to approach. Investor information is also accessible online, so look for angels or VCs that have given money to other companies within your industry. Online. Use the internet to your advantage. Sites like AngelList and LinkedIn can be valuable tools for raising capital. Julia’s website is a resource in itself. It includes a list of some of the top sources of capital for entrepreneurs, specifically for women entrepreneurs, from Incubators to Angels to VCs. Networking. Let people know that you’re fundraising and don’t be afraid to talk about the money. Everyone is (or should be) passionate about their underlying mission and objectives, but investors also want to hear how they’re going to make money from the project.